The Maldives are heavily dependent on the few external and remote markets and their own export is very little due to their limited resources. They rely heavily on fossil fuels which are all imported. 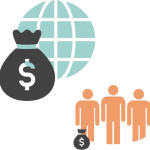 This results in a very large outgoing cashflow and relatively little to the local economy. 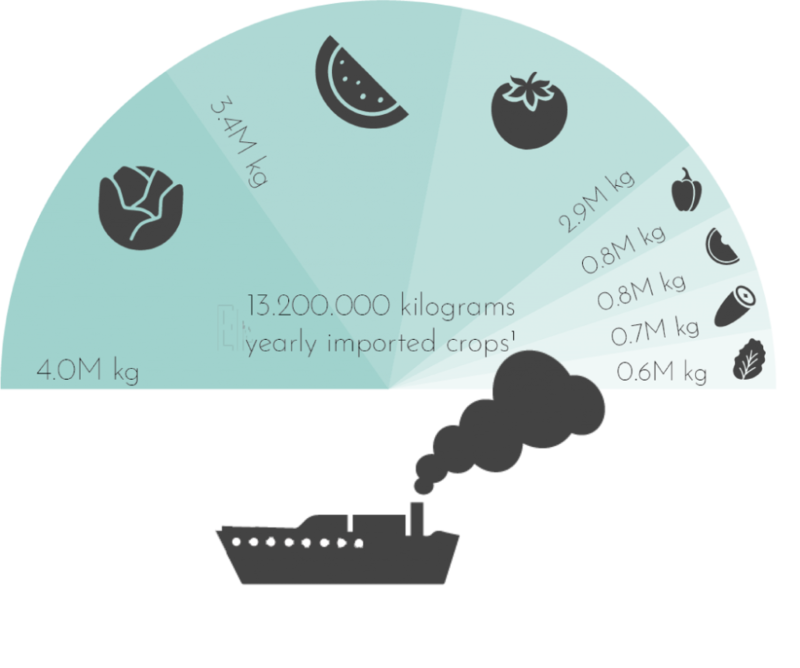 The import of vegetables to the Maldives, over 13 million kilo’s on a yearly basis, generates a lot of CO2. Limiting the amount of imported vegetables will dimish the pollution significantly. 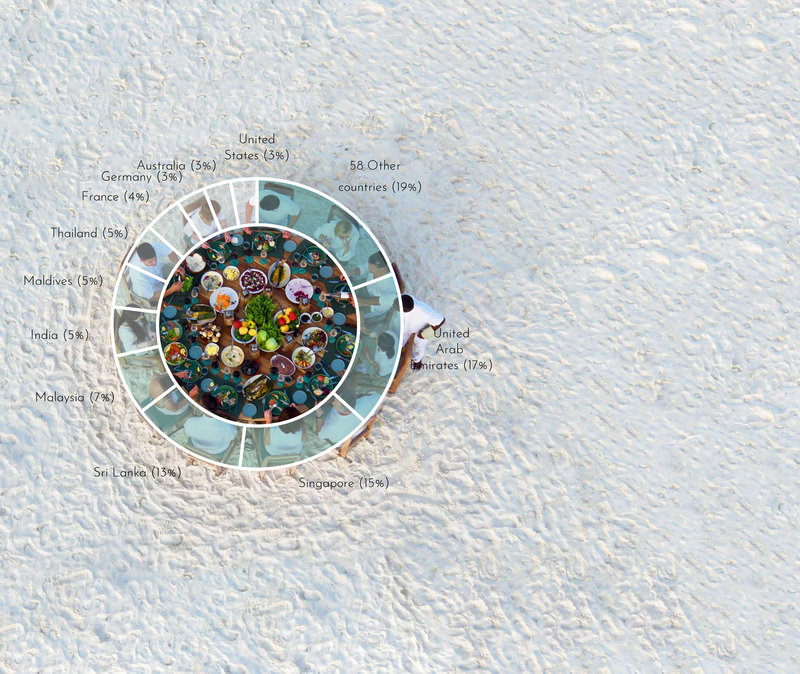 Like all Small Island Developing States, the Maldives import a huge percentage of their food consumption. A staggering 95%. But why? The techniques excist to produce locally, anywhere in the world! "95% of all food is imported"
Maldives, the true meaning of paradise. When we think of the Maldives, we think of beautiful beaches, guaranteed sunshine. Maybe your next holiday destination? The true meaning of the word paradise. But strenghts comes with weaknesses. The Maldives are facing 2 major problems. Firstly, the heat. This generates a climate which is not suitable for crops to grow. This results in an immense import. In fact, it imports 95% of their food. Secondly, the distances between the islands. This makes solid waste management challenging. They just simple cannot process all the waste generated by all the people living and staying on the Maldives. Growth, which the Maldives encounter, is a positive thing, but it has to be sustainable. 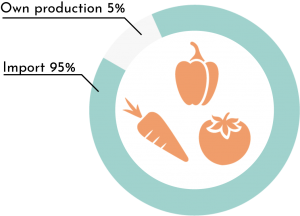 Food security and adequate nutrition for all is where sustainable development starts. "Transfering knowledge regarding sustainable agriculture, making the country self-sufficient and independent on imported produce." The Maldives are largely dependent on food import to cater the growing population, expatriate community and the large number of tourists visiting the country. Shockingly, a 100 percent of rice, flour and sugar are imported. The worldbank shows that the Maldives can cater a value of 5% of it’s food sources, as seen in the visual. The UAE, Singapore and Sri Lanka are, value wise, the three main importers for this Island nation. India is also one of the main importers, quantity wise. That being said, Maldives’ imported food comes from all over the world, ranging from Australia to Germany, and from India to the United States. output of the project and is able to diminish the locally produced organic waste significantly. The greenhouse will be able to produce high quality crops. Something the Maldivian tourist industry asks for. Therefore our biggest target group will be the resorts, hotels, guesthouses and safaris. Besides this sector we aim to deliver to local markets and Malé. 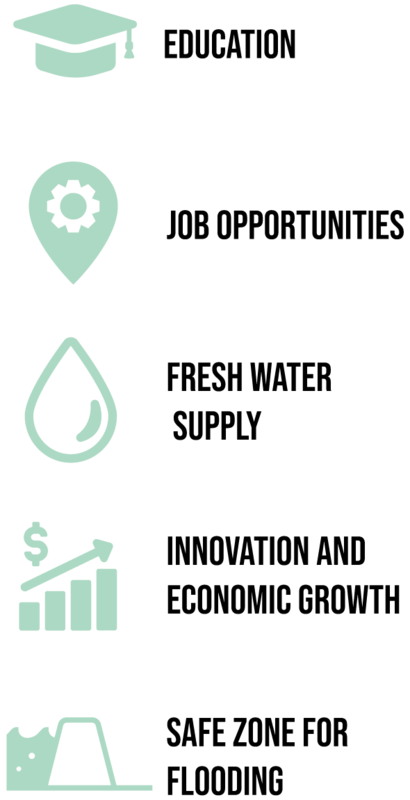 Besides bringing the country fresh vegetables, renewable energy and freshwater, the Maldives Matter Project will start a trajectory to implement the knowledge to the local people. The greenhouse will be a location where innovation and education can take place. The Maldives Matter Project will not only enhance the economy towards the local population through its local workforce of 25 people, but also towards the logistically, processing and the supporting products industry. An country 750 km southwest of Sri Lanka. It is made up of 26 natural atolls lying north to south across the equator. The total land area is twice the size of the Dutch island Texel. 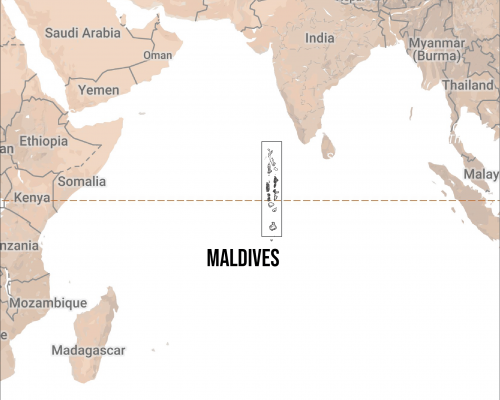 The population is spread out over 194 inhabitable islands with a third currently living in the capital Malé. Other 105 islands are self-contained tourist resorts. The average height is 1.4 meter and the highest point is 2 meter above sea level. Thus the Maldives is known as the lowest lying country in the world. The main Maldivian source of income is from tourism. This contains 27 % of the GDP, followed by fisheries, commerce and construction (between 5 and 0 %). The export is very limited and the dependence on import is very high. Also one third of all the costs of the import goes to fossil fuels. The economic development of the Maldives is very difficult regarding the absence of exploitable land based mineral sources, the limited scope of agriculture and vulnerability to natural disasters and environmental hazards.